Born just outside of London, England, in the beautiful rolling hills of Essex County, Michele Rose has been using her creative forces from the young age of ten. In 1982, she moved to Canada and studied at Ontario College of Art. Michele experimented with many styles and media throughout her post graduate years. She soon discovered her one true love, painting inspirational landscapes, florals and abstract works. 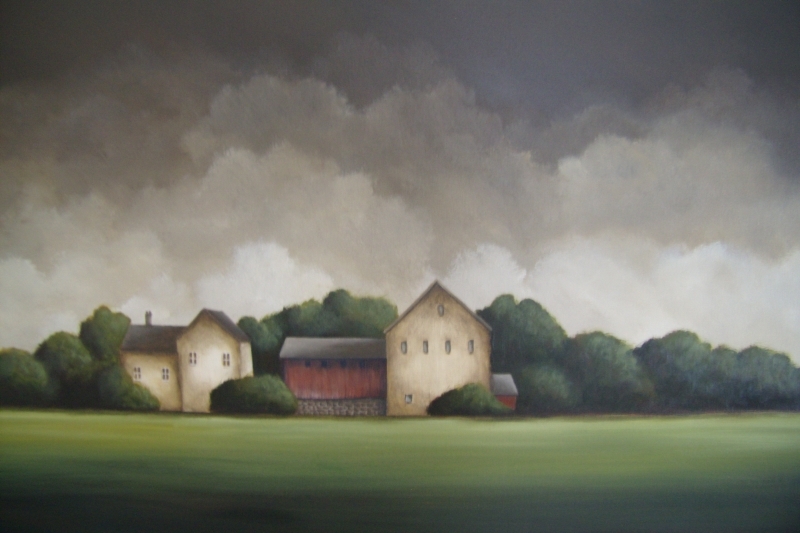 Her paintings depict the quaintness of Michele's homeland while celebrating the vastness of Canada's beauty. Her primary goal is to create peaceful, calming landscapes, into which the viewer can escape from the hectic demands of everyday life. Posted on June 2, 2014 by Lory MacDonald.